A property with a view and No Upper Chain! 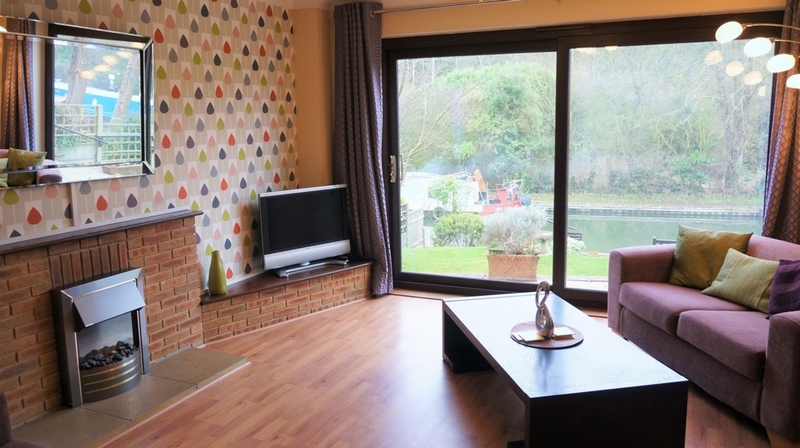 Marshalls Estate Agents are delighted to offer to the market this waterside, four bedroom family home, with the benefit of a private 'end of garden' mooring (subject to approval by the Canal & River Trust). The property, including its reception rooms, back on to the Grand Union Canal, offering in our opinion a beautiful and peaceful outlook. 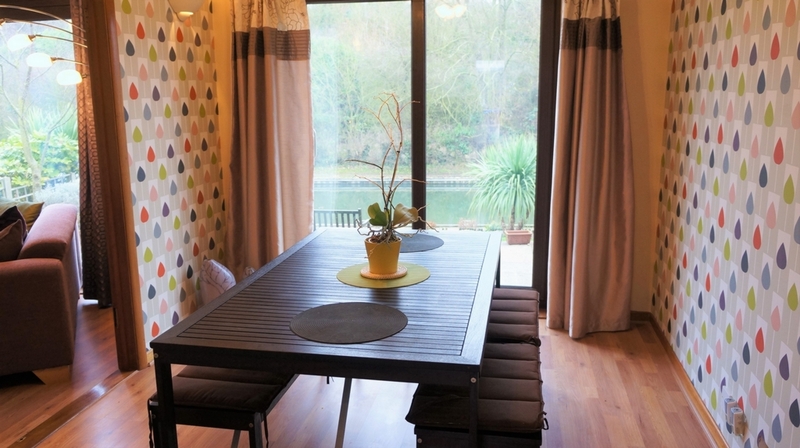 The landscaped and tiered garden leads you down to the canal side and the mooring. 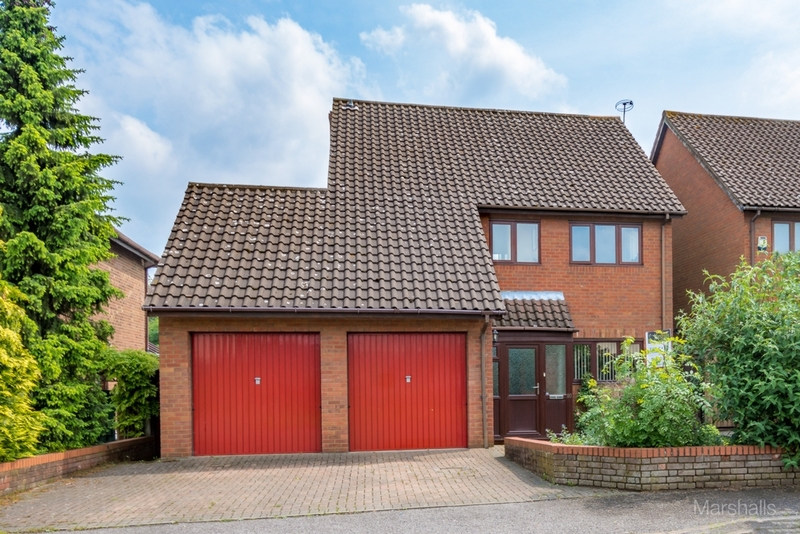 The property comprises: four bedrooms, en-suite to master, family bathroom, cloakroom, two reception rooms, conservatory and a double garage. This really is an opportunity not to be missed and with no onward chain, an early viewing is advised! FRONT GARDEN: Mainly laid to lawn, enclosed by brick built wall, various flowers, shrubs and plants, leading to an enclosed UPVC porch. ENTRY: Via hard wood door with glass panel to side. 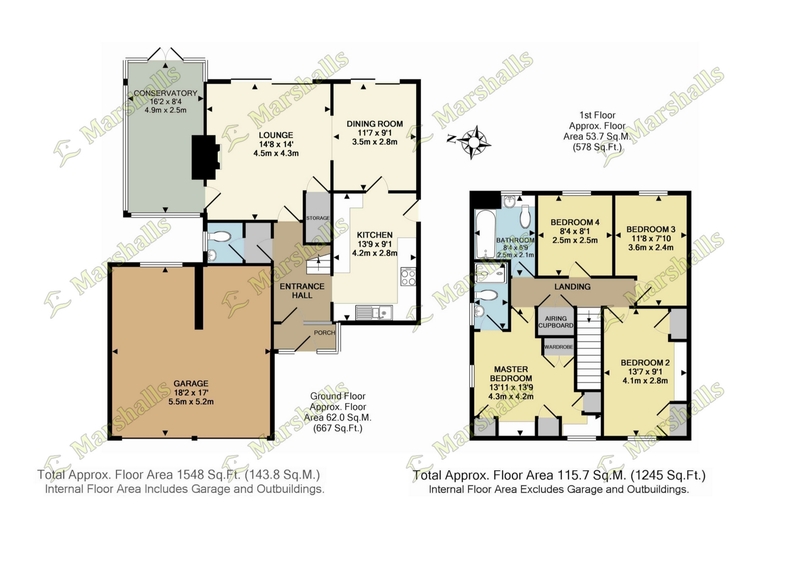 ENTRANCE HALL: Ceiling light, coving to ceiling, radiator, stairs rising to first floor, doors to: lounge, kitchen and cloakroom, laminate flooring. CLOAKROOM: Ceiling light, coving to ceiling, double glazed window to side aspect, radiator, fitted with a two piece suite comprising of a low level WC and hand wash basin set on vanity unit, laminate flooring. 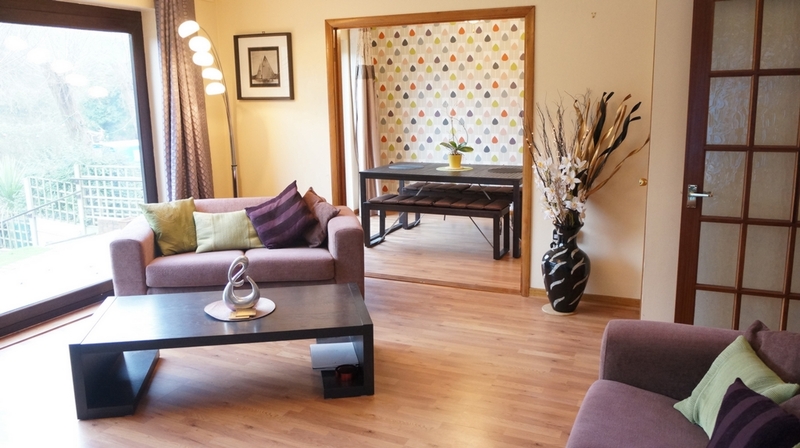 LOUNGE 4.27m (14'00") x 3.53m (11'07"): Ceiling light, coving to ceiling, double glazed sliding doors to rear aspect, feature fireplace, television point, telephone point, under stairs storage cupboard, laminate flooring and glass panelled door to conservatory. DINING ROOM 3.55m (11'07") x 2.76m (9'01"): Ceiling light, coving to ceiling, radiator, double glazed sliding door to rear aspect, laminate flooring. 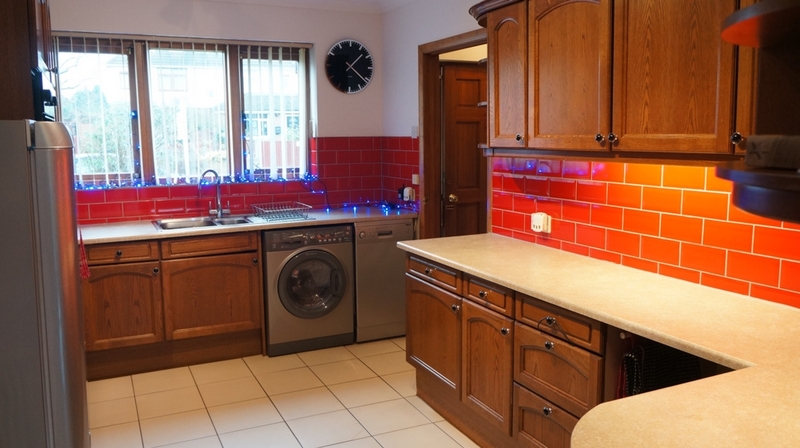 KITCHEN 4.17m (13'08") x 2.77m (9'01"): Ceiling light, double glazed window to front aspect, half double glazed door to side aspect, radiator, fitted with a range of wall and base mounted units with roll edged work surfaces over, four ring gas hob, integrated electric oven and grill, one and a half bowl stainless steel sink/drainer unit with mixer tap, space and plumbing for dishwasher and washing machine, space for fridge/freezer, complimentary splash back tiling, ceramic tiled flooring, door to dining room. 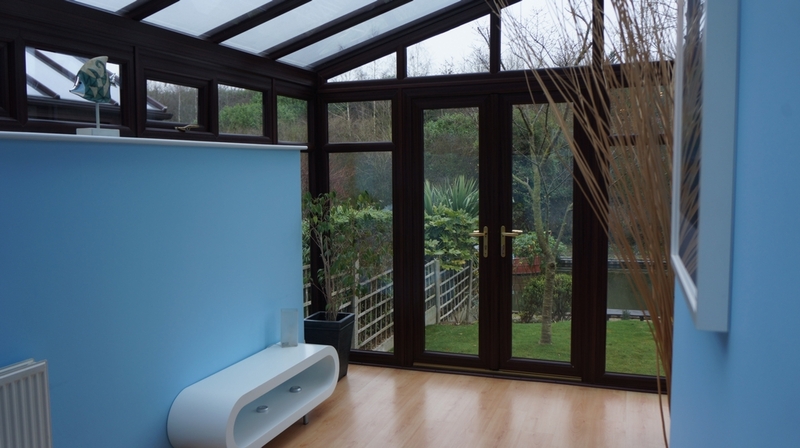 CONSERVATORY 4.90m (16'00") x 2.53m (8'03"): Two wall lights, brick built base with UPVC double glazed units with openings over, UPVC double glazed patio doors to rear aspect, laminate flooring. 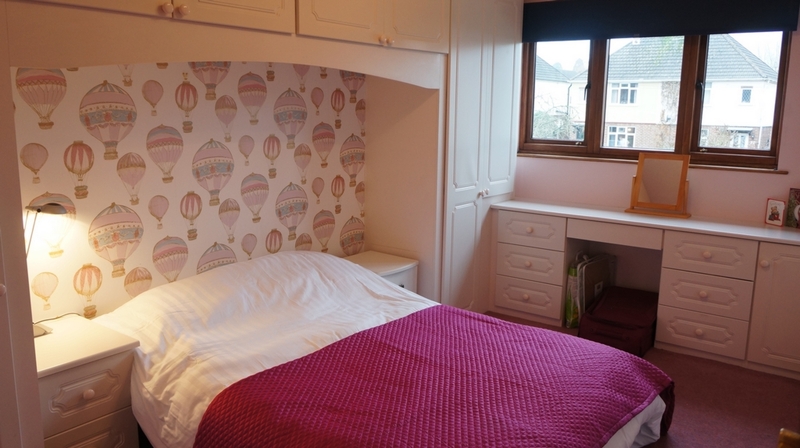 LANDING: Ceiling light, loft access, doors to all bedrooms, family bathroom and airing cupboard. BEDROOM ONE 4.24m (13'11") x 3.13m (10'03"): Ceiling light, two radiators, double glazed window to front and side aspects, built-in wardrobes with units over, dressing table, door to en-suite. 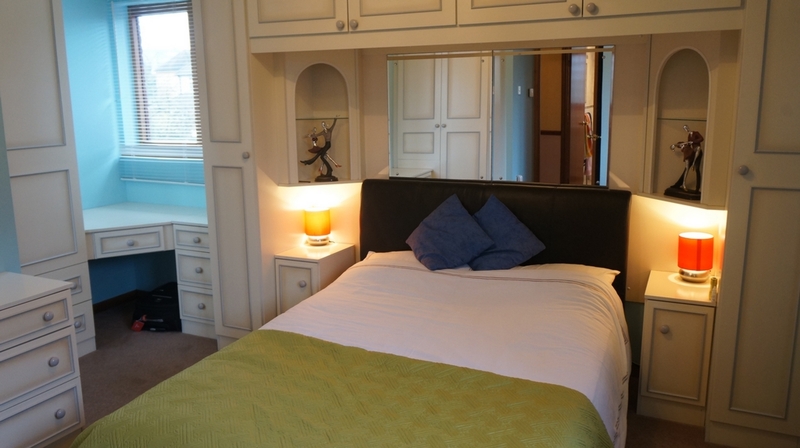 EN-SUITE: Ceiling light, radiator, double glazed window to side aspect, fitted with a three piece suite comprising: low level WC, hand wash basin set on pedestal and a double shower cubicle with power shower over. BEDROOM TWO 4.14m (13'07") X 2.77m (9'01"): Ceiling light, double glazed window to front aspect, radiator, fitted wardrobes with units over, dressing table. BEDROOM THREE 3.56m (11'08") x 2.40m (7'10"): Ceiling light, double glazed window to rear aspect, radiator. BEDROOM FOUR 2.53m (8'03") x 2.45m (8'00"): Ceiling light, double glazed window to rear aspect, radiator. 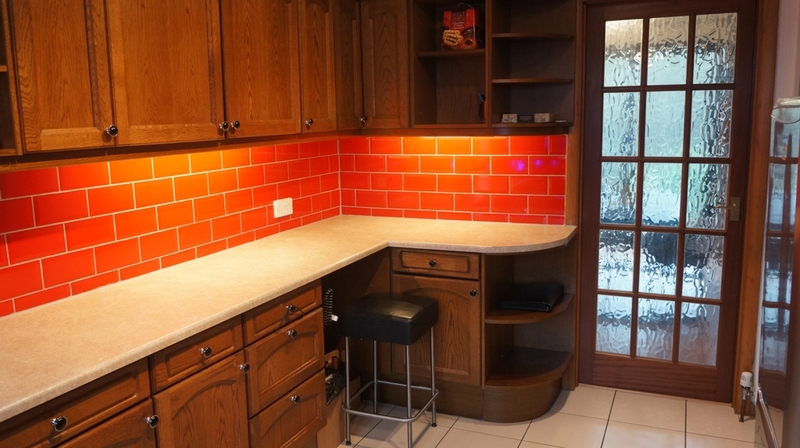 FAMILY BATHROOM: Ceiling light, double glazed window to rear aspect, heated towel radiator, fitted with a three piece suite comprising: low level WC, hand wash basin set on vanity unit with mixer tap and panelled bath with mixer tap and shower head attached, partly tiled walls. GARAGE: Double garage with up and over doors, power and light, wiindow to rear, workbench and storage to loft. 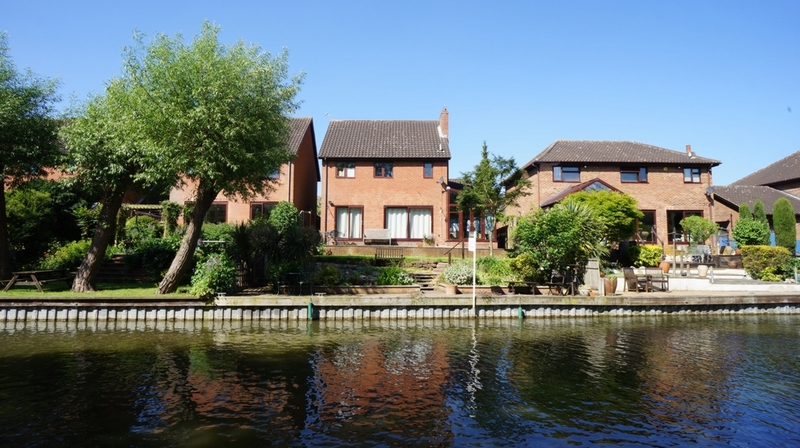 REAR GARDEN: Mainly laid to lawn, patio area, steps down to second patio area, various plants, flowers, trees and shrubs, approx 40ft canal mooring (subject to approval by the Canal & River Trust).